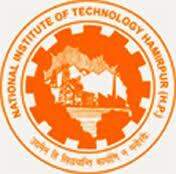 NIT Hamirpur Jobs Recruitment Notification 2018.National Institute of Technology Hamirpur inviting applications for the positions of Assistant professor and Associate professors.Interested and Eligible candidates can apply for the positions. Applicants must be completed Archictural conservation and Engineering with different fields from the recognized organization / Board. Selected candidates will get pay for Assistant professor is Rs.1,01,500/-. And Associate Professor is Rs.1,39,600/-. Applicants may apply the application through online from 23rd August 2018 to 30th September 2018.